Exciting news! We have another guest blog. 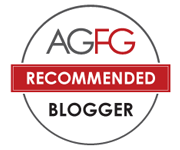 My friend, Tanya Bartolini, from The Everyday Cook Network, decided to contribute to Adelaidefoodies.com as an guest blogger on occasional bases. Through her contributions, we aim to share with people some of Tanya’s top secret in cooking Italian cuisines and hopefully we can inspire more people to cook at home and to cook international cuisines using our fantastic South Australian produces. All contributions through Tanya will be categorized under “Tanya Bartolini” in the Recipe section. The Everyday Cook Network is a site run by a passionate Everyday Cook for the Everyday Cook. It is a community, a place for people to be inspired and to help inspire others by sharing food tips, tricks and recipes. Tanya Bartolini, the author of the forthcoming book “Blending the Cultures” has always had a strong passion for food and family and what they represent when combined. However after spending 14 years working in the finance industry and becoming a mother she understands all too well the challenges that Everyday Cooks face from day to day in deciding what to cook for their family with the limited time they have. “Blending the Cultures” is a family story and cookbook that captures not only her grandparents and fathers immigration story from Italy but also depicts how their families cultures, traditions and food has evolved over many years to represent a strong blend of cultures. I am looking forward to seeing Tanya’s new cookbook coming out soon! This is one of my family favourites, and brings back many fond childhood memories for me. It is best to allow this to cook for at least an hour and a half but if you only have half an hour that will also be sufficient. The longer you let it cook the more the flavours are enhanced. This can be often made up by a big batch and can be frozen down. Trust me once you make this dish you will never use bottled pasta sauce again. This is full of vegetables so it is nutritious and it is super tasty. Like I said this is a family favourite and is a useful meal when my son is having a difficult eating day. The trick to this sauce is using a potato masher right at the end to help break up the meat. I know this may sound crazy but it really does enable you to break the meat down into very fine pieces and gives you a glorious sauce that coats your pasta whatever type beautifully. – whatever pasta you desire, spaghetti, farfale, ravioli etc. 7. Stir all of the ingredients together until well combined. 9. Once the sauce has completed it’s cooking time, remove from heat and allow to cool slightly, then using a potato masher, mash the sauce just like you would if you were making mashed potatoes. Do this until you have a fine mince and removed most of the lumps. 10. Serve this sauce with the pasta of your choice, cook pasta according to packet directions. Important – serve with grated parmesan cheese. A must. I hope you and your family enjoy this pasta sauce as much as my family does. Spaghetti with Bolognese sauce was a staple in our house when I was a child and was something that was eaten at least once (on a monday night) if not twice a week. What a FANTASTIC recipe Tanya has written! love everything Spaghetti. Very nice spaghetti sauce! Thank you Tanya! G’day! What a GREAT blog post Tanya and recipe! This is now on the list for me! I am glad you all enjoyed my bolognese recipe. I believe the key to this sauce is the white wine. I hope you enjoy it. Thanks to Xin for allowing me to feature this recipe on your site. Tanya. Same here Lisa. Every recipe talked about red wine for spag bol. Tanya has got the talent! the simple things are the hardest & I like Tanya’s recipe a lot would love to try at first oppty. great guest post! 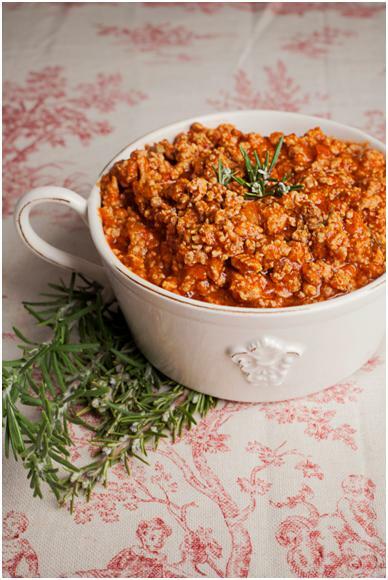 Ragu’ alla bolognese is such a classic of our culinary tradition!!! My family recipe calls for white wine too but I add it after the meat has browned. The use of the potato masher is such an innovative concept!